On March 16, diverse women for climate justice united for the first session of the 2016 series of online U.S Women’s Climate Justice Initiative Education and Advocacy trainings presented by the Women’s Earth and Climate Action Network (WECAN International). ‘Health and Climate Change: What Is At Stake, What Can Be Done?’ featured four outstanding women leaders discussing the latest science and news on the climate change and health impacts that are effecting everyone; stories and solutions from frontline and Indigenous communities exposed to toxic pollution; and tools and strategies for engaging in education, advocacy, and direct action campaigns around health and climate issues in local communities, and at the national and international level. Osprey Orielle Lake, Executive Director of WECAN International, opened the training will comments on the vital nature of women as climate leaders, and spoke to the training goal of building and empowering a strong constituency of women in the US taking bold action on climate change. Osprey pointed to education, advocacy and action around matters of community, children and familial health as a powerful window through which we can demonstrate the reality, urgency and injustice of the climate crisis, and thus catalyze meaningful action from concerned allies across the globe. Dr. Sylvia Hood Washington took the floor as the first speaker of the day. Dr. 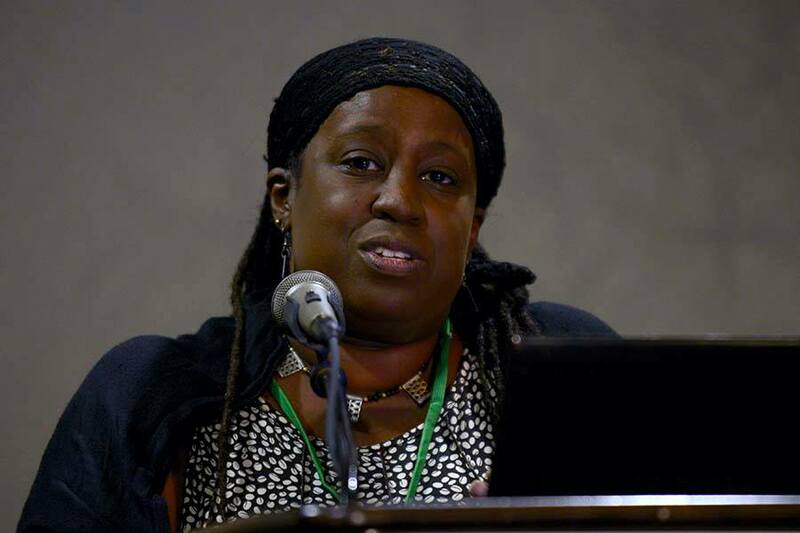 Hood Washington is an interdisciplinary scholar, project engineer and environmental health scientist with over 25 years of experience working with grassroots activists concerned with environmental and health inequalities tied to industrial operations. Her vital work has included time directing a project which utilized the oral history of black Catholics in Chicago and the input of physicians, engineers and theologians to develop relevant environmental literacy and educational material promoting environmental justice among marginalized urban communities, as well as work as the Principle Investigator for a grant developing and utilizing GIS models to examine environmental health disparities tied to sewage infrastructures in the Great Lakes region. 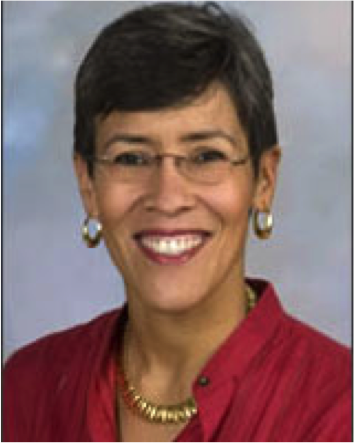 Currently, she serves as Co-Advisor on the Environmental Justice Advisory Board of the Illinois Environmental Protection Agency, and as Editor in Chief of the Environmental Justice Journal. Dr. 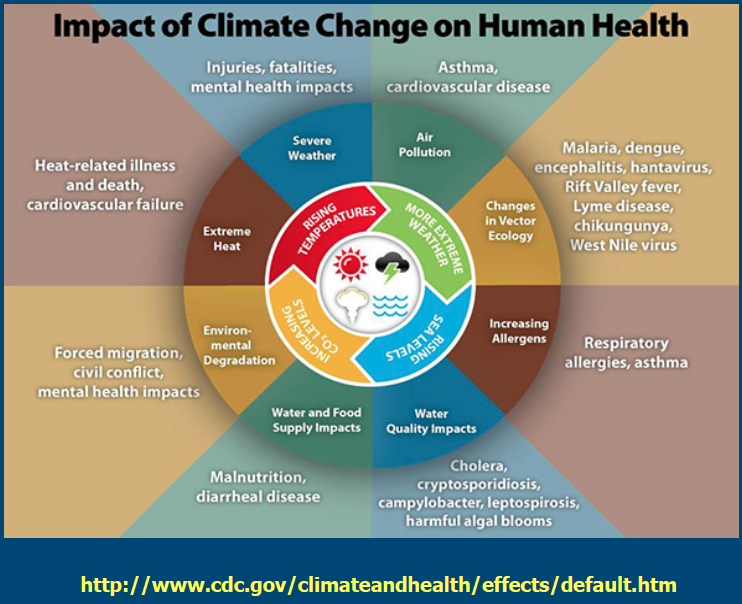 Hood Washington provided an overview of the climate impacts effecting global communities and residents of Illinois communities, with a focus on asthma, particulate matter and pollutants, and heat waves and heat related illnesses. In her reflections, Dr. 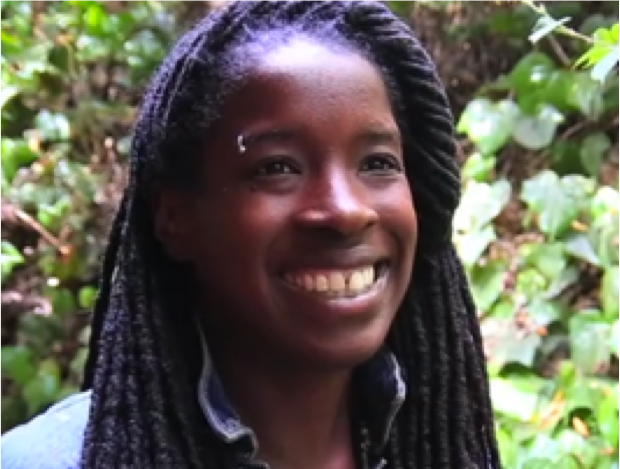 Hood Washington commented upon her time working during COP21 climate negotiations in Paris in December 2015, drawing attention to the important movement she witnessed being built around people uniting to listen to and respond to the poignant frontline stories of those who are experiencing the human and health impacts of a changing climate on a daily basis. Through her presentation and the question and answer session, she also helped navigate issues of environmental racism, discussing connections between economic inequality and severity of exposure to pollution and other climate impacts. “Who is bearing the costs of our lifestyle?”, she questioned, prompting participants to reflect on the double violence faced by many low income, immigrant, black and Indigenous communities across the US and the world, who experience the frontline impacts of pollution and extraction sources near their homes, as well as the effects of inadequate services, infrastructure and support during times of climate disaster and stress. In her closing remarks, Dr. 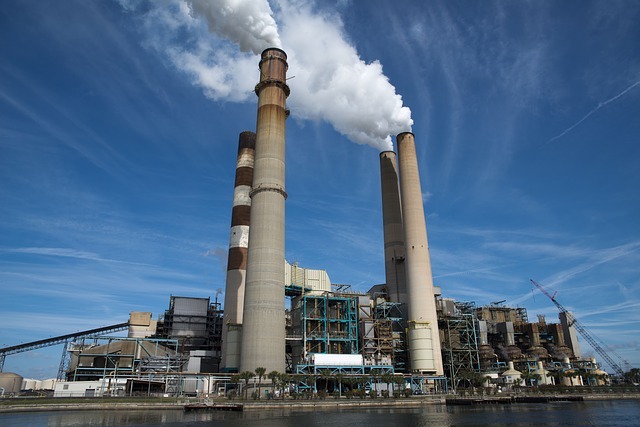 Hood Washington drew attention to the US Clean Power Plan as an important tool with which we must all engage to push for government action and environmental and social justice for all. Cherri Foytlin, freelance journalist/photographer, speaker, artist, activist and mother of six living in south Louisiana, spoke next. Cherri is of Dine, African-American and Latina descent, and has been a leading voice for the health and ecosystems of Gulf Coast, and for global climate justice and solutions, leading and participating in thousands of international, national and local forums, events, protests and direct actions, including a 2011 walk to Washington D.C. from New Orleans (1,243 miles) to call for action to stop the BP drilling disaster. Cherri is a founding member of the Gulf Coast Chapter of The Mother’s Project – Mother’s for Sustainable Energy and Idle No More Gulf Coast, and has recently taken on a position as State Director with Bold Louisiana. She is the author of ‘Spill It! The Truth about the Deep Water Horizon Oil Rig Explosion’, and a regular contributor to http://www.BridgetheGulfProject.org, the Huffington Post, and other publications. Her powerful presentation focused on climate and health impacts in the Gulf Coast region, where hundreds of acres of land are sinking into the ocean due to rising seas, climate and extreme weather disasters, and fossil fuel infrastructure which cuts channels into the regions critical wetlands and other fragile living systems. As a result of years of toxic industry and environmental destruction, south Louisiana has one of the highest cancer rates in the United States. Cherri spoke to the dire health effects being felt amongst costal communities in the wake of the BP Gulf oil spill, including cancer, neurological disease, skin problems and respiratory issues that are a result of both the initial spill, and the toxic dispersants sprayed in the aftermath (see video resource – The Rising: Connecting Human Health and Oil Operations). In addition to the damages done by the BP spill and the many industrial sites strewn across the Gulf region, she also drew attention to the growing effects of insect borne diseases, including zikia and other tropical virus once rare, but now appearing throughout changing ecosystems of the US. Cherri presented critical information about unfolding plans to lease an additional 43 million acres of Gulf waters for oil drilling this year, followed by another 47 million in 2017 – all despite the clear and devastating human and environmental impacts, and the regions growing vulnerability to severe storms and climate disasters. Cherri ended her presentation discussing the critical No New Leases campaign being led to block offshore drilling leasing plans in the Gulf, and a successful recent community organizing campaign led to remove a fracking well built next to her sons school. She discussed the goals of the local community and Earth protection movement, which parallel the growing global call to #KeepItInTheGround, with action aiming to end all new oil leases and build a just renewable energy transition with powered by energy coops and a new economy industry by and for the people. “This is not about if we can win, it is about when we win, because at a certain point the scale will tip. And I think it already has in some ways – they cannot deny us clean air, they can no longer deny us clean water – and they sure can’t deny our babies a clean future, especially as they rise to defend it themselves,” Cherri concluded, handing the floor to fellow presenter Pramilla Malick. Pramilla Malick represents Protect Orange County and is the founder of Stop the Minisink Compressor Station. She is a journalist, blogger, mother, and grassroots community organizer working ceaselessly to expose and prevent the damages caused by the expansion of fracking and gas infrastructure in her community in upstate New York. Through her presentation, Pramilla shared her towns experience and her work, demonstrating the vital role that each one of us can play in exposing and working to transform the social and environmental violations happening across our communities. Four years ago, Pramilla’s upstate New York community was targeted for construction of a gas compressor station, part of a massive chain of infrastructure needed to extract and transport natural gas, much of which is now coming from hydraulic fracking. “We realized our community was standing on the precipice of a local health and climate change emergency,” Pramilla recalled, explaining that compressor stations, needed every 40 to 100 miles along a gas pipeline, are a source of many dangerous volatile organic compounds, nitrogen oxide, and methane emissions. Compelled to action by the dangers facing her town, Pramilla began an ongoing campaign documenting the health impacts being felt by families around the compressor and metering stations, including rashes, nosebleeds, headaches and other signs of more serious long term physical and neurologic damage which have led many of those residents who are able to abandon their homes and move. She emphasized that all communities across the US should be vigilant and ready to act to prevent construction and/or document violations stemming from similar infrastructure, being proposed in many states as a ‘bridge fuel’ away from coal. “We are supposed to be on a path to a just transition, but instead governments are trying to embrace these false solutions,” she explained, framing the continued expansion of fracked gas as a violation of our human rights, right to clean air and water, and the rights of future generations to a livable future. Perry Sheffield, Environmental Pediatrician, Public Health professional and assistant professor in the departments of pediatrics and preventive medicine at the Mount Sinai School of Medicine in New York, spoke next. Dr. Perry Sheffield presents on fossil fuels and children’s environmental health. Photo source. 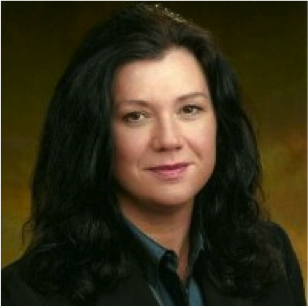 Dr. Sheffield is Deputy Director of the EPA Region II Pediatric Environmental Health Specialty Unit and Lead Investigator for the Queens Vanguard Center of the National Children’s Study. 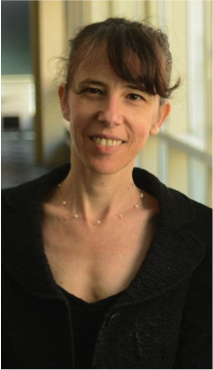 She conducts diverse research on the health impacts of climate change and public understanding of these issues with a particular focus on children. Her publications include, ‘Emerging roles of health care providers to mitigate global warming impacts: A perspective from East Harlem, New York’, and ‘Modeling of Regional Climate Change Effects on Ground-Level Ozone and Childhood Asthma’. Dr. Sheffield’s presentation focused on children’s health and climate change, providing a harrowing look into the impacts being felt by developing babies, infants and young children, who beginning in the womb, are faced with a host of challenges amplified by intensifying pollution and environmental degradation. According to Dr.Sheffield, apart from injuries, the principal causes of illness, hospitalization and death among children in America today are asthma, cancer, neuro-developmental disabilities, obesity and diabetes, and birth defects – all conditions related to industrial toxins and the condition of our climate, food and water systems. 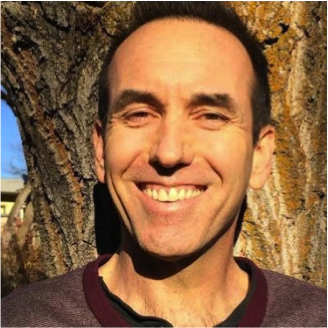 Dr. Sheffield drew attention to climate-health impacts including those from increased extreme weather events, wildfire, decreased air quality, worsened allergies, threats to mental health, declines in nutrition and food quality, and illnesses transmitted by food, water, and disease-carriers such as mosquitoes and ticks. She also shared some of the strides made in protecting children’s health and the integrity of our living Earth – including incredible drops in levels of lead exposure, decreased air pollution in many major US towns and cities, and growing education and advocacy around impacts on children, and the dire need for action to revitalize healthy food access, active lifestyles, and clean energy systems. On July 28, 2015 the U.S Women’s Climate Justice Initiative presented the final session in a series of free, online advocacy and education trainings. ‘Rights of Nature & Community Rights: Protecting & Defending the Places We Live’ featured climate women leaders Shannon Biggs of Movement Rights and Osprey Orielle Lake of the Women’s Earth and Climate Action Network. During the training Shannon and Osprey provided a background on Rights of Nature and the importance of a legal framework that honors Earths living systems rather than treating them as property. They described how Rights of Nature can be used to take immediate, concrete steps to protect our communities and the planet– and also as a tool for furthering deep, long-term shifts in culture, law, policy, and our relationship with the Earth. They shared techniques for asserting community rights and Rights of Nature over supposed corporate ‘rights’, power, and profit, and told stories about communities across the US and the world who are already using local Rights of Nature ordinances to take back their ability to protect the Earth and make decisions about the places they call home. A collection of resources presented during the training is provided below. On July 8 2015, the US Women’s Climate Justice Initiative presented the third in a series of online education and advocacy trainings. ‘Women on the Frontlines of Climate Change: Resistance & Solutions’ featured Kandi Mossett, Casey Camp-Horniek, Jacqui Patterson, and Pennie Opal Plant, four powerful women leaders at the forefront of movements for social and ecologic justice in their communities across the United States. Osprey Orielle Lake, co-Founder and Executive Director of the Women’s Earth & Climate Action Network, opened the call with a warm welcome and brief background on key WECAN International principles, including dedication to women’s stories and solutions, and work within a climate justice framework centered on those who experience climate impacts “first and worst”. 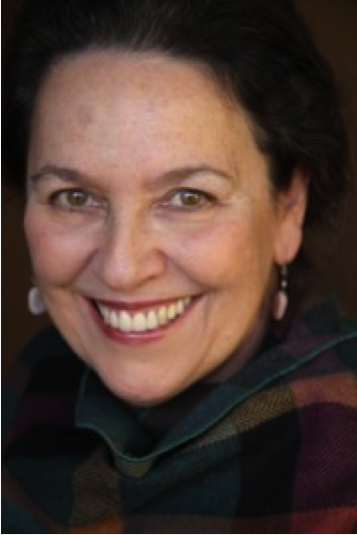 “We need to examine the root causes of climate change and carry out deep systemic analysis around racism, sexism, and our economy of consumption as we seek to understand and address the planetary crisis we face,” Osprey reflected. She described the US Women’s Climate Justice Initiative as one of the ways that WECAN International is seeking to examine these root causes and uplift women’s solutions. We are “weaving together different stories, sectors, struggles and conversations,” and addressing differing needs and privileges across diverse groups of US women, Osprey explained. With a word of thanks, she passed the floor to the first training speaker, Kandi Mossett. “Hello relatives my name is Eagle Woman,” she began, speaking in the language of her people. Kandi is of Mandan, Hidatsa, and Arikara heritage, and was born and raised in an area known today as the Fort Berthold Reservation in North Dakota. She serves as the Native Energy & Climate Campaign Organizer for the Indigenous Environmental Network. Click here to read more about Kandi’s work on the WECAN International blog. Kandi’s home and the surrounding region has become a major extraction hotspot due to the large Bakken shale formation that lies beneath its soil. Expansion of the industry has been rapid and dangerous – destroying the land and bringing pollution, health complications, community conflict, and growing problems with crime and sexual violence. Collection of news headlines. Photo via Kandi Mossett powerpoint. Kandi began with a description of the basic mechanisms of fracking, and then dived into the impacts being felt by the Earth and local communities. Flames from flaring natural gas send a constant stream of pollutants into the air. Prime agricultural and livestock lands have been poisoned. Trucks carrying volatile materials and toxic waste pass through towns 24 hours a day. Community members have been killed by the endless train of semi-truck traffic, and exhaust and dust pollution is exacerbating already severe health impacts. Kandi explained how these trucks dump excess frack-water on back-roads near the reservation, and that even when the waste is ‘properly’ disposed of, it is often simply dumped into plastic-lined earthen pits from which water seeps and wildlife drink. A one million gallon spill occurred last year and killed everything it touched, compromising the safety of the lake from which Kandi’s community and others draw their drinking water. People have been told to keep off of land that has functioned as community space for decades, and an area that was previously quiet and sparsely populated is now flooded with so many industry lights that it stands out brightly in satellite images. 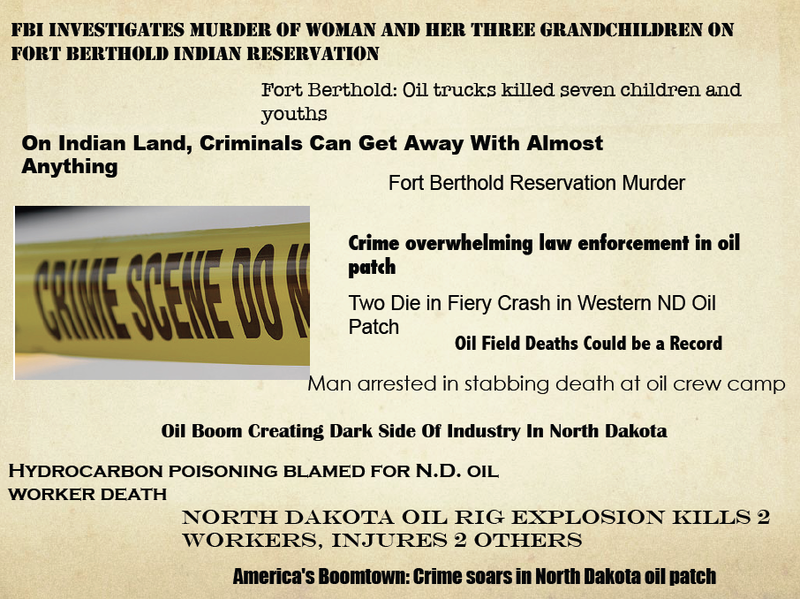 Kandi discussed some of the long-term and deeply felt social and cultural impacts of the oil boom. One is division within communities where some tribal council members welcome the fossil fuel companies and others speak out and resist. Many of the biggest issues, she explained, revolve around ‘man camps’ – huge complexes of mobile homes used to house hundreds of men brought in to work on extraction sites. These ‘man camps’ have brought spikes in crime, drug use, and sexual assaults, particularly on Indigenous women and girls. Kandi and members of her community continue to organize and fight back. 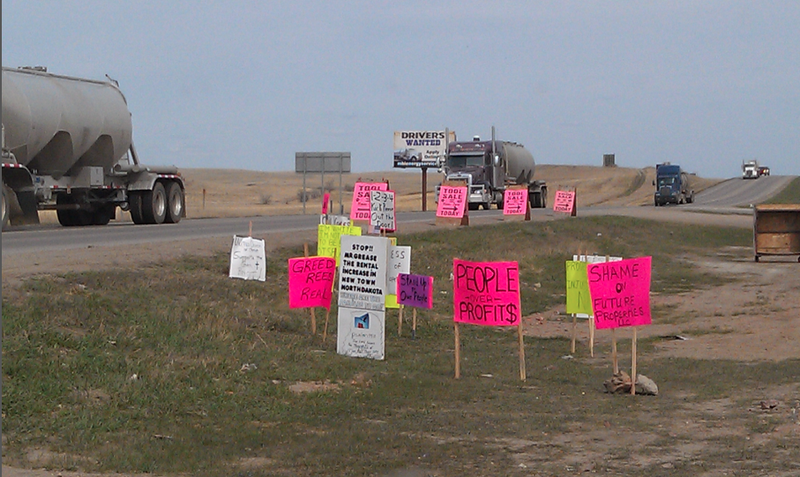 They hold educational events, marches, and line roadsides with poster displaying their demands for change. They have had some successes, including stopping the construction of a new waste pit near a vital water source, taking back an important powwow which was sponsored by fossil fuels companies the previous year, and forming a new community group called Fort Berthold POWER, ‘Protectors of Water and Earth Rights’. Other successes have been short-lived, such as when they successfully stopped an oil refinery only to have it built in the neighboring town. The situation in Fort Berthold and across the Bakken region is life or death for many, but despite this Kandi concluded her presentation with inspiring and hopeful insights. She encouraged training participants to focus on education, taking back power in their communities, and helping others make connections between the concept of climate justice and the injustices experienced in their daily lives. 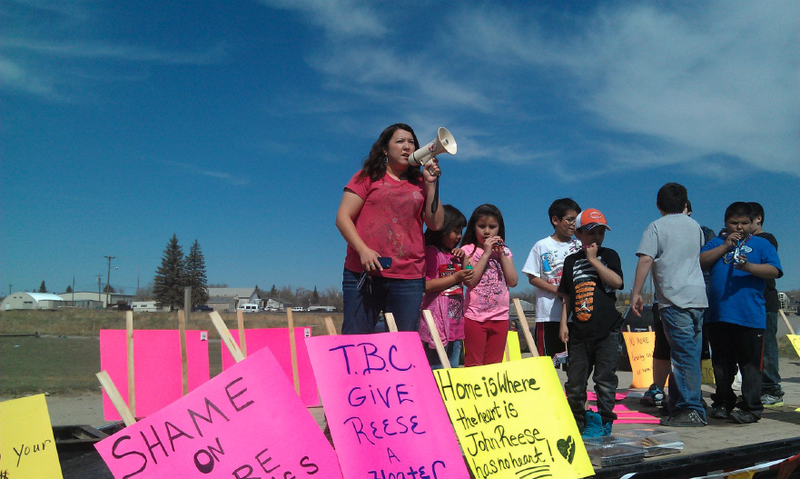 “We must keep it in the ground and protect the generations to come,” Kandi concluded. Casey Camp speaking at WECAN’s Sept. 2014 event in NYC. Photo by Emily Arasim. Casey Camp Horneik spoke next. Casey is a long-time Native rights activist, environmentalist, and actress from the Ponca Nation in Oklahoma. She helps maintain the cultural identity of the Ponca Nation as a traditional Drumkeeper, and stands at the forefront of efforts to educate and empower Native and non-Native allies on environmental and civil rights issues in Oklahoma, and at the national and international level. Like Kandi, Casey began with a greeting in the language of her people. “What an incredible healing time we are all participating in,” she reflected. She described the “spiderweb” of pipelines crossing her region – including pipelines that stretch to Alberta, Canada, and from both coasts of the U.S. The intensity of fracking in her region has made Oklahoma the new earthquake capital of the US, with the number of 3.0 or greater earthquakes rising from 106 in 2013 to 585 in 2014 – with 400 thus far in 2015. According to Casey, the locations of underground pipelines, fracking injection wells, and recent earthquakes overlap quite closely. In 2004 Casey’s small community of less than 800 people held one funeral per week. They have witnessed massive fish die-offs in poisoned waters and have been told not to eat the fish out of the river. Necessity and hunger have meant that some families have no choice, but the fact is that it is not a choice they should have to make at all. Casey drew connections between the devastation being wrought by fossil fuel companies and the larger legacy of displacement and persecution of Indigenous communities in her region and across the world. 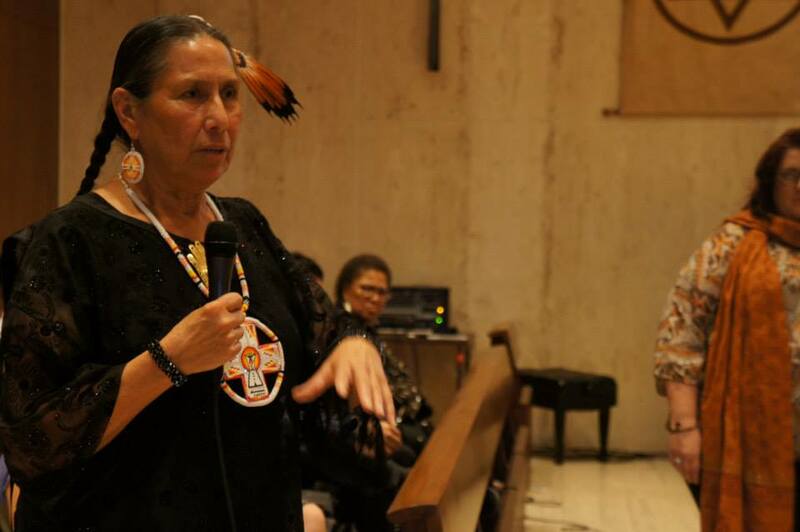 “We are experiencing a real and active genocidal process here in Oklahoma and we are only one people,” she continued, explaining that the genocidal process fueled by extractive industries takes many forms, including loss of language and spirituality, destruction of sacred sites, economic collapse, social breakdown, and long and short term health impacts. “Our children are coming onto Earth with poison already in their body,” she lamented. In explaining the deep impacts felt by her community in Oklahoma and others across the world, Casey also discussed the “normalized oppression” held firmly in place over many Indigenous peoples, and the depression and sense of hopelessness that goes along with it. Frontline communities like Casey’s can feel abandoned in their struggle, and it is time to change that. “Right now we have the chance to turn this tide where we are participating fully in the healing of ourselves as women, daughters, granddaughters, sisters…We can find a way to make it happen so that our grandchildren can have grandchildren who will live because of what happened in 2015…We aren’t giving them our power any longer – we are recognizing where power really belongs – the true power is Earth,” Casey concluded, passing the floor to Jacqui Patterson. Jacqui is Director of the NAACP Environmental and Climate Justice Program and Coordinator and co-Founder of Women of Color United. She has worked as a researcher, program manager, coordinator, advocate and activist on issues of women‘s rights, violence against women, HIV&AIDS, racial justice, economic justice, and environmental and climate justice. 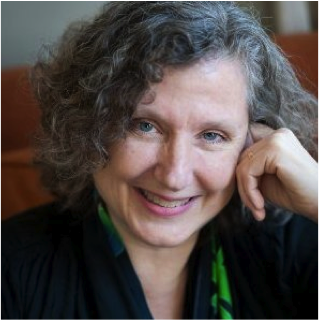 Some of her publications include “Climate Change is a Civil Rights Issue”, “Gulf Oil Drilling Disaster: Gendered Layers of Impact”, “Disasters, Climate Change Uproot Women of Color”, and “Coal Blooded; Putting Profits Before People” – which can be found in the resources section at the bottom of this article. Jacqui began her presentation by framing the climate crisis in terms of our “dangerous relationship with excess” – be it food, transport, waste, or energy. She noted disproportionately severe climate impacts on low-income communities, peoples of color, nations of global south, and women, and zoned-in specifically on the skewed placement of coal-fired plants, fracking, mining infrastructure and landfills near communities of color. Jacqui brought vital social issues to the table, including stories of children living near toxic sites who have become totally dependent on medications to combat asthma and respiratory problems, or who have developed learning disorders due to lead exposure. She tied environmental justice issues to the “school to prison pipeline”, explaining how people living near toxic sites have a 50% lower property value, which translates to under-funded schools because property taxes pay for local education systems. Lack of resources and teachers makes it harder for children to thrive, and children who do not reach a certain learning level by third grade are considered more likely to enter into the criminal justice system. Environmental injustice is thus deeply tied to cycles of poverty, criminality, and discrimination. During her presentation Jacqui drew attention to the double damages felt by low-income families, Indigenous people, and communities of color who are affected both when industry extracts, pollutes, and dumps directly in their neighborhoods, and again when they find themselves on the frontlines of large climate disasters like hurricanes, droughts, and floods. In the face of mighty challenges, it is time for “Resistance, Resilience, Reclamation, and Revolution” she explained, shifting to a discussion of the experiences, solutions, and forward steps that the communities she works with are engaged in. Jacqui reflected on “women as leaders in this freedom fight,” as she told the story of a woman in North Carolina who began her own ‘citizens investigation’ to document the illnesses being experienced by community members living next to a coal-ash pond. The woman took photos and notes that she began to have to mark with the letter D as friends and neighbors passed away. She too ultimately passed away from illnesses believed to be linked to the nearby contamination. This story is harrowing and must be honored, however Jacqui also shared some exciting victories. 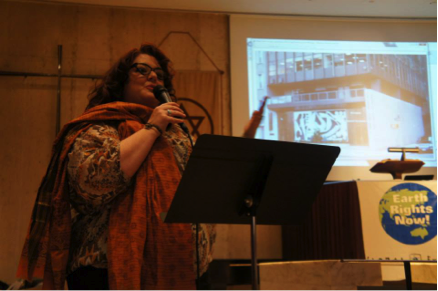 She introduced the story of the Fisk and Crawford coal plant in Chicago, which was successfully shut down by organizers with the Little Village Environmental Justice Organization (LVEJO) and allies. She also touched on the growing movement to recognize corporate overreach, citing movements like Occupy and a citizen survey that found that the influence of money on elections was one of US residents top concerns. This is all part of the fight and the solution. 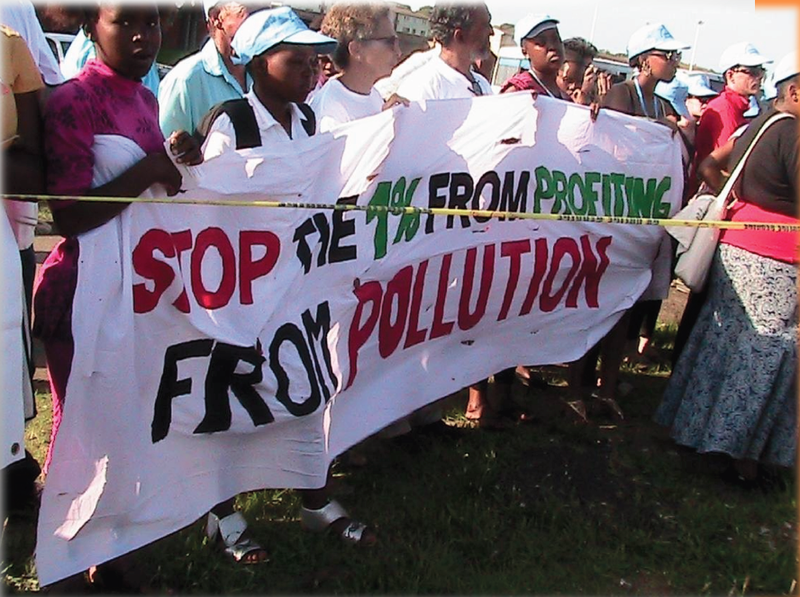 ‘Stop the 1% from profiting from pollution’ – South Africa. Photo via Jacqui Patterson. “We need to ensure that we are working together to root out all forms of oppression wherever it is,” Jacqui explained. She echoed Osprey’s sentiment that we must look at both micro-level, immediate changes and solutions in how we live and our relationship with Nature, families, and communities – as well as at big picture systemic change. Extreme weather events and other climate stresses are having devastating impacts now, which means we must build resilience on a day-to-day basis as we work towards larger transformation. Jacqui called for “reclamation” of the commons, our communities, the energy grid, our food system, the shared economy, and our democracy. Pennie Opal Plant spoke as the final presenter of the day. 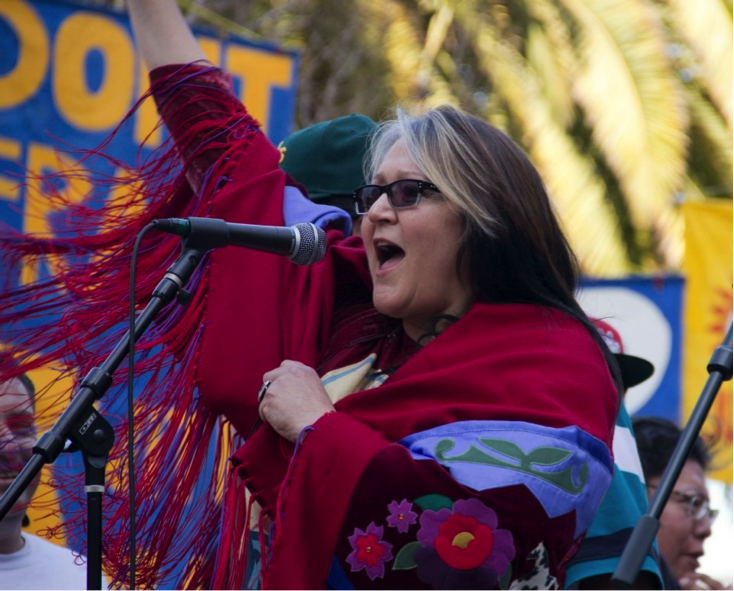 Pennie is of Yaqui, Mexican, English, Dutch, Choctaw, Cherokee and Algonquin heritage, and has been an activist for over 30 years working on anti-nuclear, environmental, and indigenous rights campaigns. 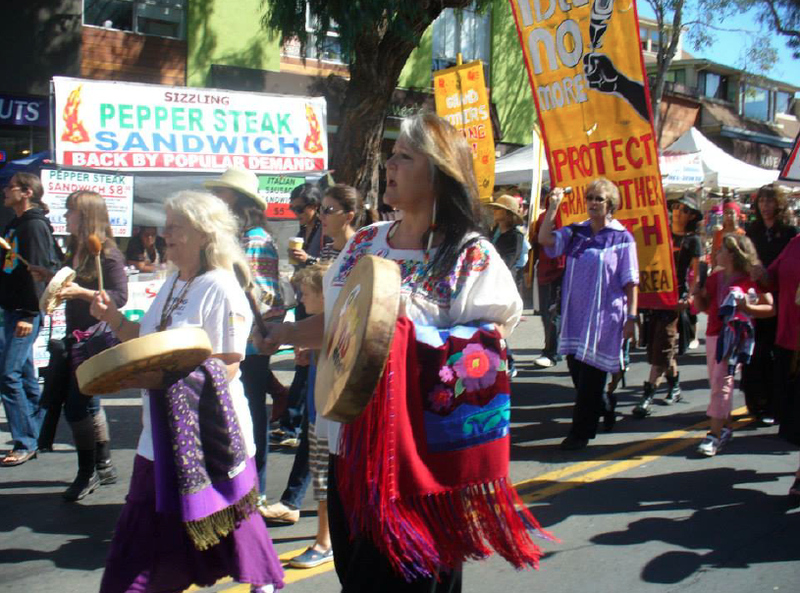 She is a founding member of Idle No More SF Bay, Movement Rights, and the Bay Area Rights of Nature Alliance, working ceaselessly to address climate change, fossil fuel extraction, and environmental injustice in and around her community. Pennie began with thanks to her ancestors for making her a strong woman. She recognized all of the incredible efforts to heal the Earth happening in her San Francisco Bay Area community and across the world, but also reminded participants we still have a long way to go to bring awareness about the issues we face to the level we need. “There is so much work for all of us to do to help people become activated and inspire them to see this beautiful new future that we imagine and people are already putting into place,” Pennie reflected. She explained clearly how continued fossil fuel development is bad for the Earth, bad for the investors who will face stranded assets as we transition, and bad for the communities who very well may continue to be abandoned with the mess to clean up. Pennie outlined the situation in the Bay Area of California, where they are coping with Chevron, Conoco Phillips66, Tesaro, Shell, and Velaro refineries and a slew of other industrial sites. The latest are the proposed West Pack site, which seeks to bring oil from the tar sands in Alberta and the Bakken oil fields in North Dakota, and the Water Front Industrial Project, a fifty mile construction which will require the dredging of the delta and countless other harms. 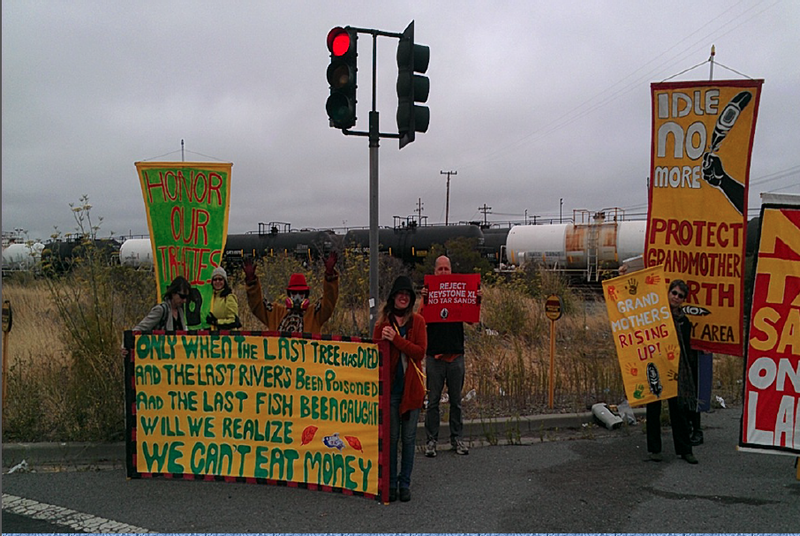 In response to the refineries and the deep environmental and social damages they are causing, the idea of the Refinery Corridor Healing Walks was birthed out of a circle of Indigenous Grandmothers and the Idle No More SF Bay community. 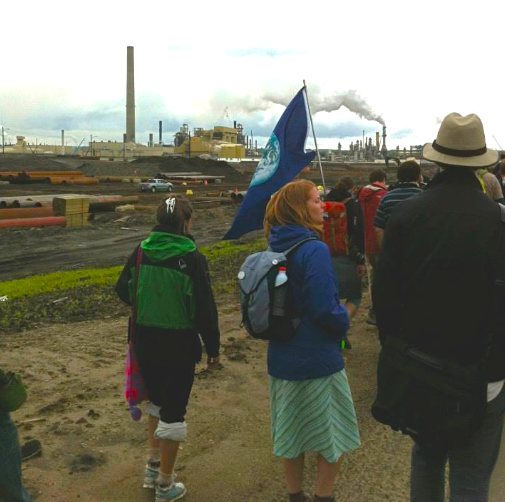 Refinery Corridor Healing Walks will continue next year and all are welcome to participate. Pennie also mentioned allies in Texas who are hoping to start healing walks through a refinery corridor in Huston, discussing her excitement that the idea of healing walks could be expanded and applied in other communities worldwide. In closing, Pennie provided a brief background of Movement Rights, a new organization that provides organizing and legal support to helps communities assert their rights to self governance, ban corporate harms and take away corporate personhood rights, promote Rights of Nature, and write ordinances to put people over profit in their community. Osprey Orielle Lake of WECAN International transitioned the group into a Question & Answer session with comments on the powerful spectrum of emotion felt during the four presentations, from deep grief to hope and inspiration. She opened the floor to training participants and speakers, who explored how allies can support and engage with the community movements highlighted during presentations. Casey spoke frankly with participants about the need to get funding and other forms of support directly to the frontline communities whose “blood, sweat, and tears” go towards on-the-ground community organizing and resistance. She asked participants to share ideas on how to raise funds, get frontline communities connected into larger movements, and bring Indigenous leaders to speak to affected communities so that they can better understand the challenges they face and see how others are resisting, protecting the Earth, and uplifting their people. Osprey closed the training with a deep thanks to everyone for their participation, encouraging them to share what they had discussed during the training far and wide. She also invited participants to share stories of the climate impacts their communities are facing and the solutions they offer as part of the Global Women’s Climate Justice Day of Action, happening September 29, 2015. On June 25, 2015 the U.S Women’s Climate Justice Initiative held the second day of an online education and advocacy training, ‘Health & Climate Change: What Is At Stake, What Can Be Done?’. A detailed review of day one is available here. Day two featured four outstanding women leaders, Susan E. Pacheco M.D of the University of Texas, Pandora Thomas of EarthSeed Consulting LLC & the Black Permaculture Network, Angela Monti Fox of The Mothers Project, and Hannah Vogel with Climate Nexus. Osprey Orielle Lake, co-Founder and Executive Director of the Women’s Earth and Climate Action Network (WECAN International), spoke first, welcoming participants to the call and providing a brief background of WECAN International’s framework and vision for this training and other related work. According to Osprey, the training call aims to bring together women from diverse groups across the US, acknowledging differing experiences and struggles, and working to build a powerful women’s voice for action on climate change. 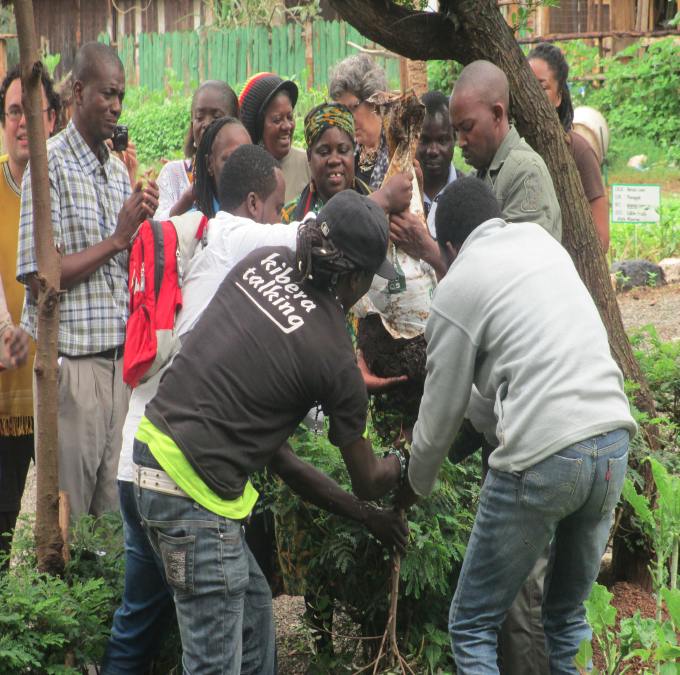 The training, and WECAN’s work in general, is centered on a climate justice framework, which means dedication to the communities who experience climate and health impacts “first and worst”. “While we are all exposed to environmental degradation, we must take into consideration that frontline and Indigenous communities bear the biggest brunt of health and climate impacts, and that the only way to change this is through our involvement and action,” Osprey explained. She noted that genuine action on climate change requires “systemic social and political analysis,” and asserted that women’s voices must be heard if we are to develop effective, long-term solutions. Osprey closed her introduction by inviting all participants to join WECAN International for a Global Women’s Climate Justice Day of Action, happening on September 29. Learn more about the Day of Action here. Dr. Susan E. Pacheco took the floor as the first training presenter. Dr. Pacheco is an Associate Professor at the University of Texas Health Science Center specializing in pediatric asthma, allergies, and immunology. 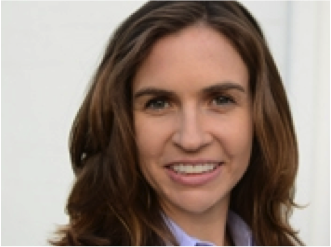 She is also the founder of the Alliance Of Health Professionals Against Climate Change and the Texas Coalition for Climate Change Awareness, and serves as the health representative for the Climate Science Rapid Response Team. Susan’s presentation, ‘Children in a Changing World: Silent Victims of Climate Change’, focused on climate-related threats to maternal and children’s health. According to Susan, 88% of the worldwide disease burden falls on children under five years of age. Some of the things that make children especially vulnerable include the fact that they ‘breathe more air and drink more water’, have immature and developing organs, lungs, and nervous systems, are at a stage of rapid change, spend more time outdoors, need more ‘emotional shelter’, and face a lifetime of exposure and climate stress. Dr. Pacheco discussed air pollution as a health impact stemming directly from fossil fuel use, and touched on a few more subtle health problems with severe impacts on children. Changing climate patterns are causing increased pollen production in plants, which is worsening allergies and causing respiratory problems. Rising temperatures are affecting ozone production, which changes air quality and has increased the prevalence of asthma. 300 million people worldwide suffer from asthma. In U.S 20 million people are afflicted, 7 million of them children. Echoing calls made during day one of the training, Susan pointed out that very little research has been done on the mental health impacts of climate change, which are thought to include apathy, depression, social stress, and PTSD, to name but a few. As a poignant example, Susan drew attention to the 160,000 children displaced and 15,000 children who did not go to school during the aftermath of Hurricane Katrina. Dr. Pacheco also spoke on maternal health, discussing studies connecting women’s exposure to air pollution with autism risk in their children. She highlighted long-term brain damage and developmental issues as effects of exposure to industrial pollutants and fossil fuels during pregnancy, and commented upon pregnant women’s increased vulnerability during heat waves and other extreme weather events. Susan presented passionately on issues of justice, reminding participants that the burden is not distributed evenly, with socio-economic background determining children’s relative exposure. She spoke to the fact that those who produce the least carbon emissions are the most effected, whether we are discussing differential impacts on children and adults, or between high and low-income communities and countries. According to her presentation, there are more than 700 million children living in the ten countries most vulnerable to climate change. Critically, Dr. Pacheco explained that re-framing the climate conversation to bring health impacts to the forefront has the potential to inspire meaningful action like perhaps nothing else could. “The moment that we change our conversation to bring health to the climate change debate our action will change,” she asserted, describing how health discussions can make climate change more relatable and bring an even greater sense of urgency to our response efforts. Pandora Thomas spoke next. Pandora is a teacher, writer, designer, speaker and co-Founder of Earthseed Consulting LLC, a holistic consulting firm working to expand opportunities for sustainable living to diverse communities across the U.S. Pandora’s other projects include the Black Permaculture Network and Pathways to Resilience, a program working to engage people exiting the prison system in permaculture concepts and practices. Pandora spoke with training participants about building community resilience and helping engage people in climate change and health issues by “meeting people where they’re at” and creating relevant, appropriate, and community led projects and initiatives. “Where we are is very urgent, but ripe full of opportunities,” she began, introducing the West African concept of Sankofa, which translates roughly to ‘we must know from where we came in order to move forward’, used here in reference to the need to build on centuries of wisdom and tradition as we move forward in addressing climate change and its dire health impacts. Pandora shared a powerful discussion of the disproportionate climate-health impacts felt by African-American communities across the U.S.
Pandora shared research that 71% of African-Americans live in counties that violate federal air pollutions standards. 78% live within 30 miles of coal-fired plant, and they are also more likely to live near landfills or incinerators. African-Americans have a 36% higher rate of asthma and die from this condition at twice the rate as Caucasians Americans. They are also at greater risk of heat-related deaths, (which will increase by at least 90% due to climate change) due in part to the fact that they are more likely to live in inner city areas. African-Americans are also more likely to reside in coastal areas prone to hurricanes, flooding, and sea level rise, and experience food insecurity at a rate 25.7% higher than the national average. Pandora also drew connections between climate vulnerability, economic insecurity, and crime and violence, presenting the story of the Pathways to Resilience program as an example of how we can tackle the nexus of climate impacts in a constructive way. In sharing the work of Pathways to Resilience, Pandora introduced the concept of permaculture as a key tool for restoring the health of the planet and people. Permaculture is a design system and way of living based on observing how natural systems work and seeking to emulate these patterns and principles in all that we do. Among many things, permaculture includes ecologic farming, soil and plant stewardship, green building, Earth-centered economics, water conservation and care, reduced consumption, and clean energy– making it a potent tool for build the kind of world we want – one that insures health for people and planet. Some of Pandora’s other insights for addressing climate and health impacts within a justice framework include “connect to that which gives you strength”, “think of our potential instead of being mired in the problems”, “feed what you want to see grow”, and draw upon and uplift the existing experiences and solutions of frontline communities. Angela Monti Fox spoke next. 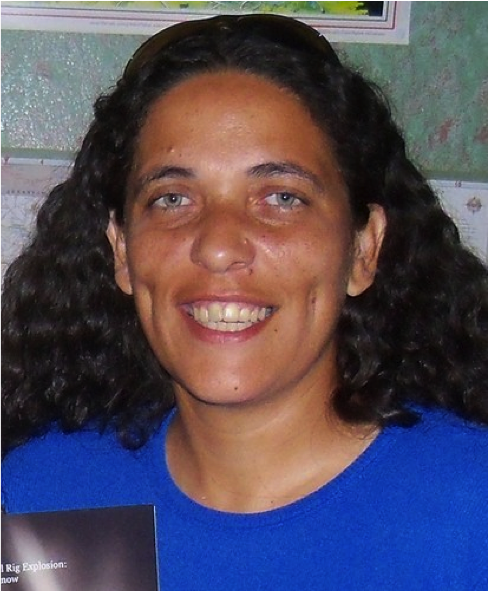 Angela is a mental health professional and founder of Mothers Project, an organization established in 2012 in reaction to the expansion of fracking and natural gas exploitation in New York and Pennsylvania. Angela described how extractive industries and other big polluters are allowed to slide-by, dumping toxins into water and claiming that chemicals are diluted to such small quantities that they cannot affect people. The Mothers Project and countless other groups and communities across the world however, are testifying otherwise. Angela cited a 1996-2009 study in Colorado which followed pregnant women living near gas wells and found birth defects and a 30% greater chance of these women giving birth to a preterm and/or underweight babies. It is being revealed that this kind of exposure can also result in endocrine disruption and DNA damage, meaning that children could be affected for life. Angela also noted disruptions of children’s ability to “learn, love, bond”. Angela and the Mothers Project team wrote and sent a letter to Michelle Obama asking for her support in addressing fracking and its health impacts on children. They received no reply, but continue undaunted in their work to expose and prevent these dangerous health impacts. “A child centered model would bring the entire fossil fuels industry down in a massive action,” Angela explained, expressing her sentiment, much like Susan’s, that the public would care deeply if they understood the depth of the climate-health crisis. Mothers can and should be at the forefront of the movement to educate and inspire action. Hannah Vogel, an associate with Climate Nexus, spoke as the fourth and final presenter of day two. Hannah presented an overview of an important climate and health report that was released just days before the June 25th training. The ‘Lancet Commission on Health & Climate Change’ frames climate disruption as the most pressing global health risk of the century, while conversely drawing attention to action on climate change as our greatest opportunity to address health problems worldwide, with immediate and long-term benefits. Hannah touched on a theme highlighted by many presenters over the course of the two-day training –we simply must start paying a lot more attention to what our energy decisions mean for our health. According to Hannah’s overview of the Lancet report, we need to fundamentally shift our energy model and implement an ‘emergency-style’ response to climate change. During the training Q & A session presenters and participants returned to the subject of the Lancet Report to discuss concerns that, while the report makes powerful calls for action to shut-down coal based energy production, it does not make similar statements on fracking and natural gas, two toxic energy sources whose major health impacts were reviewed by Angela Monti Fox and other speakers during training day one. WECAN International will continue to review the Lancet Report and speak out about discrepancies in an otherwise powerful and important document. Other topics discussed during the Q & A session include; why we need to pay attention to changing consumer behavior and companies visions rather than just policy, the importance of “finding peoples entry points” and framing climate and health discussions in a positive, inclusive way, and how we can create bridges between diverse movements for justice, referring specifically to the devastating Charleston shooting and Black Lives Matter movement. Children, women and elders are disproportionately vulnerable to health problems stemming from climate impacts. Low-income communities are more likely to be exposed to toxic industrial sites, fossil fuel infrastructure, and extreme weather events. The fossil fuel industry is the root source of much pollution and climate change-related health problems – addressing health impacts thus means working towards 100% renewable energy. Direct action at the local community level is effective and we all have the power and potential to get involved. Re-framing climate change conversations to reflect pervasive health impacts is central to insuring deep, sustained action on climate change. Education is the key – it is up to all of us to raise our voices and get out in our communities to help connect the dots and re-frame the climate change conversation to include critical health impacts. For information on future WECAN International education and advocacy calls, please click here. Human health and the health of the planet are inseparable. A constantly interacting cycle, our destruction and waste is stressing Mother Earth’s vital organs to the point of collapse, which in turn is causing epidemics of pollution and disaster related health problems in our communities. Children, elders, and women are impacted with disproportionate severity – and low-income communities are often marginalized and placed directly in the path of toxic sites and extreme weather events. The topic of health and climate thus emerges as both an existential crisis, and as a question of deep social and environmental injustice. 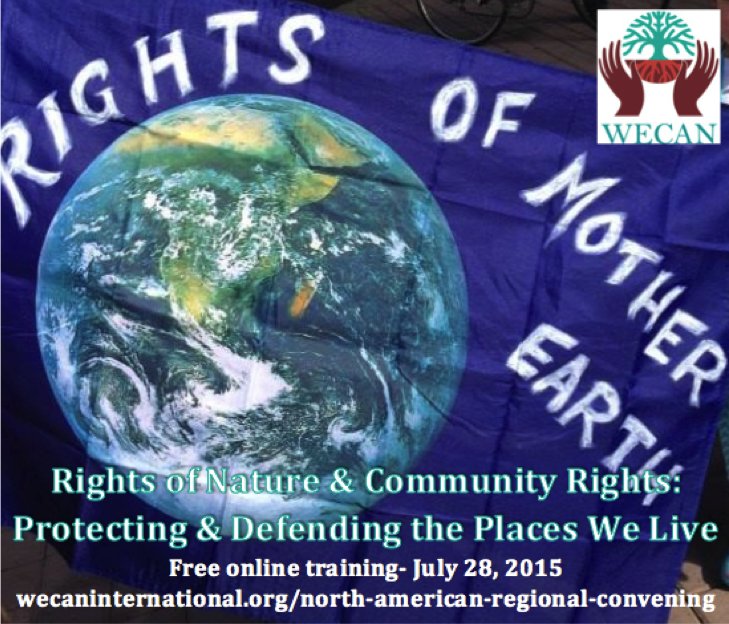 On June 23, 2015 women from across the United States joined together to participate in the first day of ‘Health and Climate Change: What Is At Stake, What Can Be Done?’, an online education and advocacy training presented as part of the WECAN International U.S Women’s Climate Justice Initiative. Day one of the training featured Sheila Bushkin-Bedient, M.D. 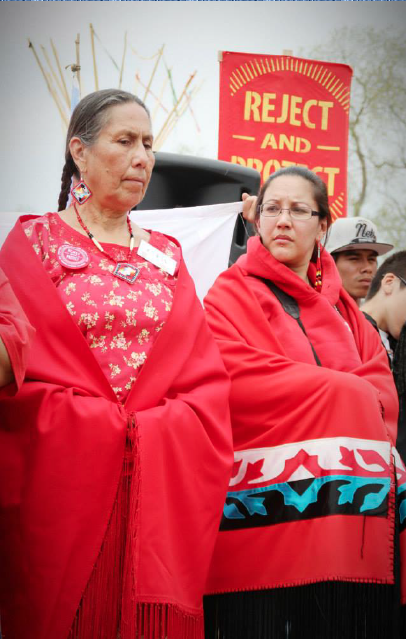 , Pramilla Malick, and Cherri Foytlin. 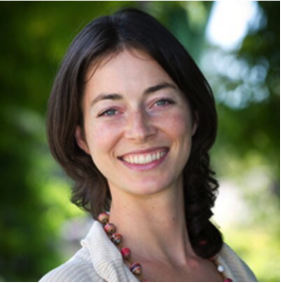 Osprey Orielle Lake, Co-Founder and Executive Director of the Women’s Earth & Climate Action Network (WECAN International) opened the call and passed the floor to Dr. Sheila Bushkin-Bedient, M.D. of the Institute for Health & the Environment. Shelia presented a broad overview of the myriad of health impacts emerging as a consequence of accelerating climate disruption. She began with a discussion of air pollution, which is characterized by ground level ozone, smog, and particulate matter accumulation. She cited health impacts including increases in asthma, allergies, cardiac and pulmonary disease, lung and heart related hospitalizations, diminished lung function, and premature deaths. She also spoke about heat waves as a major climate related health concern, drawing attention to devastating cases emerging in Pakistan and India in recent weeks. May and June 2015 brought temperatures of 113- 119 degrees F to India, killing more than 2,500 people as of June 5th. On June 19, days before the training, extreme temperatures in Pakistan killed more than 260 people in just a few days. Health impacts from heat waves include dehydration, heat stroke and exhaustion, as well as increased mortality rates and exacerbated heart problems. Urban dwellers experience even higher temperatures as a result of the ‘heat island’ effect – and children and the elderly are most vulnerable. Extreme heat goes hand in hand with drought conditions, which stresses plant and animal communities and can lead to parched, failing food systems. The Western U.S has been experiencing intensifying impacts over the last decade– and at the global level, failing crops mean malnutrition, starvation, job and income loss, shortened life expectancy, compromised immune systems, and increased disease vulnerability. Wildfires are another drought-related concern with direct impacts on air quality and heart and lung disease. A map generated on June 22, 2015 revealed twenty-four major fires burning in the US – thirteen of them in Alaska. As of June 28 there were at least 319 large and small fires burning in the state, a strikingly clear example of the wildly off-balance world we are faced with. Sheila discussed floods and hurricanes next, citing impacts ranging from bodily injuries, acute illness and deaths, to increases in homeless populations and sickness from contaminated water and food sources. Changes in the range and characteristics of infectious vectors is another very real climate impact, with diseases like West Nile, Lyme disease, Dengue, Malaria, and Chikungunya all shifting and spreading. Sheila’s presentation circled back to impacts on food systems as a key human health concern. She explained how the vitality and diversity of oceans and freshwater bodies are collapsing due to pollution, rising temperatures, and melt-water, and spelled out what this means for the wellbeing of the worlds waters and human health and nutrition. Sheila concluded with comments on the psychological health impacts of floods, hurricanes, and other extreme weather events, which can include Autism spectrum disorder, PTSD, depression, anger, family conflict and separation, and even civil conflict and war. Reflecting on these deep climate impacts with Sheila was an enlightening and eye-opening experience. Pramilla Malick of Protect Orange County and Stop the Minisink Compressor Station spoke next. Pramilla is a journalist, blogger, mother, and grassroots community organizer who has been working ceaselessly to expose and prevent the damages caused by fracking and gas infrastructure in her community in upstate New York. Pramilla started by noting the painful irony of our situation. Faced with depleted resources and planetary stress, we have decided to use even more destructive techniques to unearth fossil fuels. She explained how these more violent forms of extraction are driving the health of the Earth and our communities along a parallel trajectory – towards more deadly and extreme impacts. For the past two years her community has been living with a compressor station that pushes fracked natural gas along a large pipeline. According to Pramilla, compressor and metering stations are needed every 10 miles along many pipelines, placing millions of US residents in close proximity to dangerous, and even deadly infrastructure. Pramilla quickly became aware that radioactive gas and liquid was seeping into the soil and being released into the air, and that at least 26 toxic chemicals (many known carcinogens) were being pumped through and around her community. As soon as she understood the dire implications of the compressor station, she began collecting testimony’s from neighbors and photographing the health impacts appearing among residents. 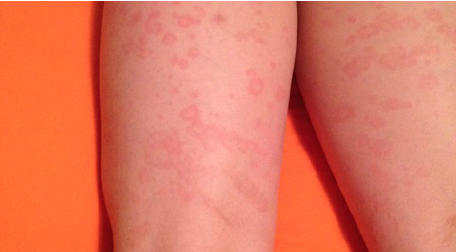 Pramilla documented rashes and skin irritations, nose bleeds, reparatory illness, nausea, vomiting, swollen joints, breathing difficulties, abdominal pain, organ damage, and neurological symptoms, all radiating out up to 150 miles from the station. Reaffirming Shiela’s comments on young peoples heightened vulnerability, Pramilla drew attention to the fact that these exposures impact not just children’s immediate wellbeing, but also their long-term health and development. Mid-way through her presentation, Pramilla took our breath away with a shocking video of the compressor station in her community. At first nothing was visible, but when an infrared camera was switched on a massive plume of emissions became visible, rising up from the compressor like an uncontrollable fire. She expressed deep concerned about the toxins and carcinogens that her community is breathing in directly, but also about the effects of bioaccumulation in soil and dairy products, which make up a large portion of the local economy and are distributed across the US. Pramilla and allies also connected the dots between the toxins and the inhibition of agricultural crops, and observed that the constant noise from the station was driving away bats and insects central to pest control and natural ecosystem balance. Soon people in Pramilla’s town began packing up and walking away from their homes – a forced migration that often only the better-off can afford. Cherri Foytlin joined the call as the third and final presenter of day one. Cherri is a mother of six living in Southern Louisiana. She hails from the Dene Nation, and is a photographer, speaker, Idle No More Gulf Coast member, and author of Spill It! The Truth about the Deep Water Horizon Oil Rig Explosion. Cherri spoke with training participants on health and climate impacts in her Gulf Coast home-region, where there have been five major hurricanes in the last five years. The area is a center of industry, with mega-ports and refineries lying directly in the path of extreme weather events. Major oil spills have poisoned the ocean waters and inland aquifers, exacerbating the health and environmental impacts of Hurricane Katrina and Rita as oil and chemical dispersants washed back onto the land and into peoples homes. Asthma, pneumonia, respiratory issues, and cancer have all been documented in people involved in Katrina cleanup efforts, and the true reach of the oil spill and hurricanes health impacts are only beginning to be revealed. Despite the challenging conditions Cherri is facing in her community, her presentation was filled with a wealth of positive, uplifting insight into how we can all take action to engage with issues health and climate change. She explained that we must not give up hope and should boldly “sound the alarm”- getting out on the street to talk with our friends and neighbors and help them see the connection between climate change, health, pollution and fossil fuel infrastructure. She asserted that we must continue to demand strong, meaningful action from public officials, but that we also must realize that real change happens only when people stand up, act, and push governments to step up to the plate as leaders. Cherri commented on the need to strengthen our health systems, assess vulnerabilities, and take action to insure that health professionals have the training to deal with toxic exposure and climate disasters. 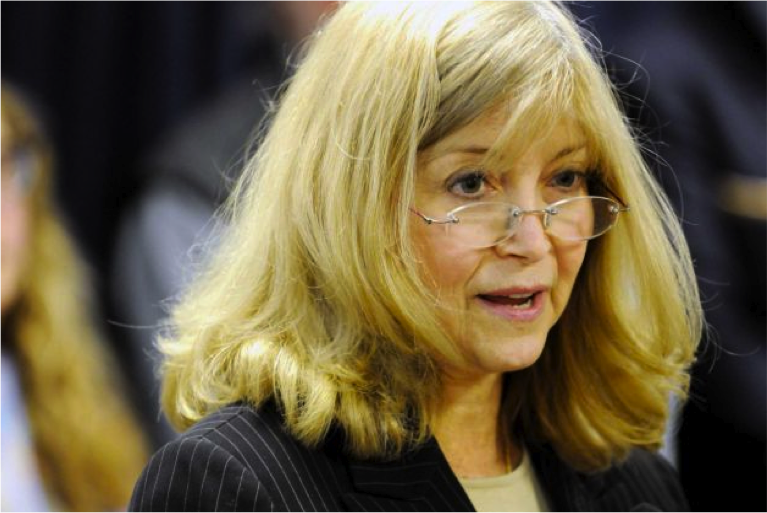 She also suggested policy action to require developers to prove how they will protect human and environmental health- with clear guidelines for shutting down projects if and when they cannot provide this evidence. Touching on an absolutely vital theme, Cherri declared that we must end the fossil fuel era and challenge “an archaic industry that is feeding on our health” and the health of the Earth as a whole. Cherri also explained that working to actively build another vision is of the upmost importance, suggesting action to get renewable energy in homes and show people that a clean economy can support jobs and economic health. Thus far, her community has put solar panels on 26 homes, focusing on the elderly and low-income families first. We were inspired by, and in full agreement with Cherri’s statements about the need to create a new culture and challenge the idea that our mission in life is to consume. She called for the re-building of a culture that respects the planet, sees reducing emissions as a source of great pride, and lifts up the stories of those who are on the frontlines of impacts and solutions. During the Q & A session, presenters and participants reflected more on ways to get involved with critical health and climate issues. 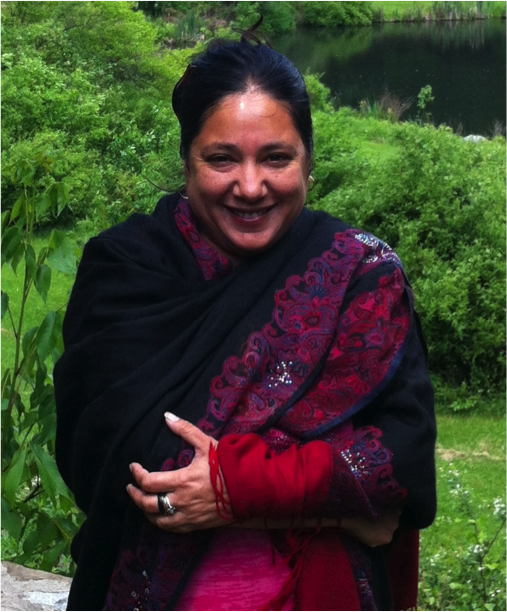 Pramilla emphasized support for the transition to 100% renewable energy, an end to fossil fuel subsidies, and action to expose the fact that natural gas and fracking are not “bridge fuels”, but rather “bridges to catastrophe”. “As mothers, we must tell policymakers that the health of our children comes first, and that clean air and water is a fundamental human right that cannot be compromised in any shape or form,” she explained. Sheila shared hopeful information about ongoing work with the American Medical Association to call for legislation that requires comprehensive health impact assessments of existing and proposed infrastructure projects. Cherri asked participants to join her in speaking out about the 10-year anniversary of Hurricane Katrina, building awareness and framing it as the climate and health disaster that it was. Check back soon for a recap of day two of the ‘Health & Climate Change: What Is At Stake, What Can Be Done?’ training. You can join our next training, ‘Women on the Frontlines of Climate Change: Resistance & Solutions’ on Wednesday, July 8. Click here for details. On June 2 and 4, 2015 the Women’s Earth and Climate Action Network (WECAN International) held the first in a series of online trainings presented as part of the new U.S. Women’s Climate Justice Initiative. Launched with the goal of building a collective voice for U.S. women advocating for climate justice and action in the lead up to COP21 climate negotiations, the 2016 U.S. elections and beyond, these free education and advocacy sessions strive to provide the resources and support needed for women to become effective climate leaders in their communities, and at the national and global scale. 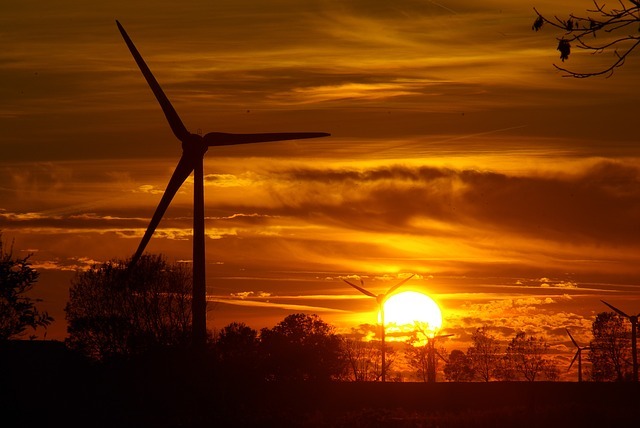 What policies are most important to advocate for in the transition to 100% renewable energy? What is distributed/decentralized energy and how do we realize it? How do we move to install solar in our own homes and communities, including for low-income women? ‘Women for 100% Renewable Energy’ featured presentations by Angelina Galiteva and Diane Moss of Renewables 100 Policy Institute, Cathleen Monahan of Grid Alternatives, Allison Archambault of EarthSpark International, Lynn Benander of CoOp Power, and Robert Styler of Powur, with an introduction and moderation by WECAN International Executive Director, Osprey Orielle Lake. Full biographies are available here. 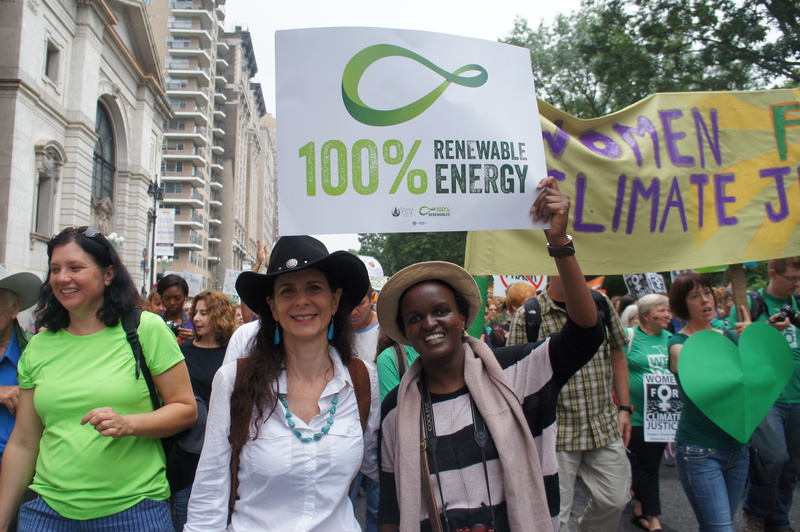 WECAN International and Renewables 100 Policy Institute advocating for 100% renewable energy at the Peoples Climate March in New York City, September 2014. Osprey Orielle Lake opened the June 2nd training with a warm welcome and brief discussion of why women are so central in this stage of the human journey, as we move to address the climate crisis. Focusing in on one very tangible indicator, Osprey explained that in the United States women make approximately 80% of all consumer choices, giving them a powerful ability to direct fossil fuel divestment, clean energy choices and investment, and community-led grassroots transitions. Osprey also opened the floor to a discussion of a central training topic; what does an equitable transition to renewable energy entail? She explained that a justice framework calls for renewable energy that is accessible to all peoples, that works with respect for Nature’s needs and diversity, and that does not pursue any false solutions, such as large-scale hydropower, nuclear energy, or shale gas. She also spoke about the concept of a Just Transition and how a fair and sustainable low-carbon economy must care for workers, families and communities currently involved in conventional fuel production, ensuring that they do not bear the brunt of the transition to new ways of producing wealth. Concluding her introduction, Osprey drew attention to the fact that the U.S represents 5% of the world population, yet produces upwards of 26% of global carbon emissions. “As one of the world’s biggest carbon polluters, the US has a historic and current responsibility to lead the way to a clean energy future. But simply transitioning to renewables will not solve our problems, we must also dig deeper to address over-consumption and unequal distribution, analyzing how we can live better, not more,” she explained. 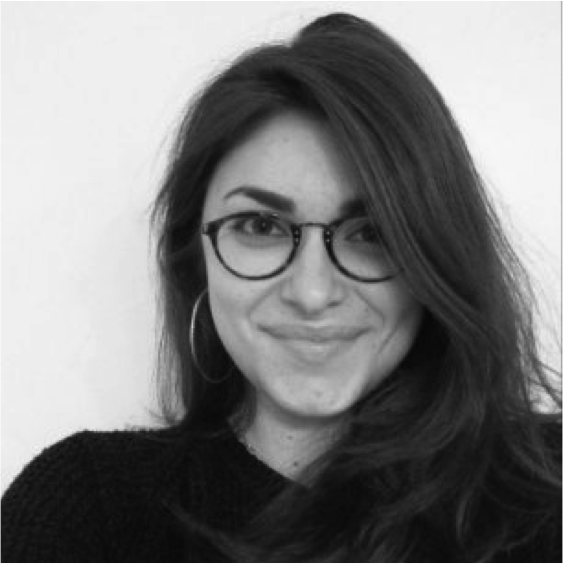 Angelina Galiteva, co-Founder of the Renewables 100 Policy Institute, presented first, providing a big picture look at why we must transition, what progress has already been made, and how women can work to further this transformation. According to Angelina, we need to focus on 100% renewable energy because it is achievable, because it is an environmental imperative, and because dirty energy lies at the root of all of our problems, from poverty and inequality, to health, war, and climate catastrophe. “Its very clear that pollution is not free,” Angelina commented, explaining that the fossil fuel industry is the worlds second largest water user, a primary source of water and air contamination, and a creator of huge wealth disparities. The pursuit of 100% renewable energy on the other hand, creates jobs, improves quality of life, mitigates climate change, and can bring energy security and environmental justice. Angelina provided data to show that there is absolutely no technologic or physical barrier to 100% renewable energy, but rather, only issues of “political and investment will”. To power the world with solar we need only 0.07% of global land area, and capturing just two minutes of the solar radiation that hits the Earth each day can power the world for a year. Not only could this provide clean and reliable energy, but it could also bring power to the 1-2 billion people who still do not have access to electricity. “Local action matters,” and is driving the transition, with 8 countries, 55 cities, 58 regions, 9 utilities companies, and 21 nonprofits and educational and public institutions representing more than 52.8 million people already committed to a 100% renewable transition. On a good day, grid power from renewables is reaching more than 40% in California, and we have the demand, knowledge, and community support needed to bring this to fruition in communities across the U.S. and the world. “We are all solar sisters,” Angelina concluded as she passed the floor to Renewables 100 Policy Institute co-Founder, Diane Moss. Diane provided further insight into some of the 100% renewable victories already taking place, highlighted key policies to push for, and provided tips for successful organization. Burlington, Vermont and Greensburg, Kansas have both achieved 100% renewable electricity, and many other U.S counties have firm commitments, including Aspen, Colorado by 2015, Palo Alto, California by 2017, Georgetown, Texas by 2017, East Hampton, New York by 2020, San Diego, California by 2030, and Hawaii by 2045. Diane explained that the first and most successful 100% renewable campaigns have come from communities that have promoted cooperation between activists, businesses, and the government. She also suggested that, whether at the household or global scale, 100% renewable energy projects be pursued with a set of short, medium, and long-term goals, with plenty of milestones to celebrate along the way. Cathleen Monahan, Director of the Single-family Affordable Solar Homes (SASH) Program at GRID Alternatives, spoke next. Cathleen and GRID Alternatives focus on solar accessibility for low-income communities for a few reasons. For one, solar installation can result in an 80% average reduction in monthly electricity bills. Secondly, the homeowners who can least afford clean energy are often the ones living in closest proximity to toxic conventional production. After discussing the importance of renewables in a social justice context, Cathleen provided a look into some of the technical aspects of solar configuration and installation, including an overview of the parts of a solar energy system, different designs for mounting, options for connection (batteries vs. grid connected), selecting a contractor, financing your project, and tips for where to place your panels, which sizes to use, and system set up in different microclimates. Cathleen also shared information about GRID Alternative’s Women’s Solar Initiative, which as gotten more than 1,000 women out on job sites to learn about solar energy. More information about opportunities to volunteer on a solar install with a powerful all-female team is available here. Allison Archambault of Earthspark International opened the second day of training on June 4, joining the call from Haiti. She discussed the three keys to 100% renewable energy; storage, integration, and demand management. The later was of particular importance in her presentation, which busted the myth that supply must equal demand. Rather, Allison explained, in a sustainable renewable energy model, we should work to adjust demand to meet supply. For example, if we know that the grid will be strained in the afternoon on a hot summer day, we can work to pre-cool homes, thus re-distributing demand to function in harmony with the flow of energy production. By building renewable energy infrastructure in optimal locations, using a mix of complementary technologies, and using smart grids to bring demand into equilibrium with supply, we can create “clean, local, efficient, affordable, reliable energy systems”- the CLEAR choice. Community micro grids were also discussed as key component of a resilient energy system, functioning independently of the bigger grid with on-site generation and storage. Concluding her presentation, Alison spoke with participants about the idea of shifting from being consumers to ‘prosumers’, and discussed the sense of empowerment and connection that develops when individuals and communities re-claim local power and begin contributing back to a renewable energy grid. Lynn Benander of Co-op Power spoke second, presenting the strategy of consumer owned energy cooperatives, as modeled by the Co-op Power network already up and running across New England. Participants in the New England renewable cooperatives come from multiclass and multirace backgrounds, promoting justice and diversity as the first step in sustainability and the clean energy transition. Using the locally owned coop model, every community can decide what direction they want to take- be it solar, wind, biomass, or geo-thermal- and work to ensure that energy is created and distributed in a just and inclusive way. In bringing power back into the hands of residents, deep and sustained local economic development becomes a real, powerful possibility. According to Lynn, women are playing a key role on every level of community renewable energy development- as purchasers, activists, policymakers, supporters, organizers, and builders. She also shared the Co-op Power ‘5 Years to Energy Freedom’ plan, which asks people to pledge to reduce energy consumption by 50%, and then work towards using renewables to supply the other half. Lynn ended her presentation with a powerful assertion that the only precedent to the renewable energy movement is the abolition movement, with both striving to address economic injustice and root causes of unequal power and poverty dynamics. In fighting for 100% renewable energy, we are thus furthering the work of the important movements that have come before us. “Concentration of power is a disaster,” Robert commented, highlighting how the pursuit of renewable energy gives us an opportunity to reverse this trend by decentralizing both energy production and wealth creation. Despite being up against big obstacles, Robert explained that we are at a tipping point, with even the big banks and head of the Federal Energy Regulation Committee conceding that renewable energy is well on its way to making fossil fuels obsolete. Robert provided background on the Solar City program which is installing a new solar system in the U.S. every three minutes, and discussed the ways that Powur is working to make financial support accessible for homeowners and organizations leading the renewable energy transition through an ingenious new fundraising system. Thanking WECAN International and training participants for allowing him to present, Robert expressed his deeply held belief that the shift to a just and healthy world will be one led by women, and supported by men. During the question and answer segments of the two-day training participants and speakers engaged in discussion about passive solar and the promotion of net-zero energy homes, how to modify the renewable energy tax credit system so that it benefits low-income communities, and the need to address campaign contributions so that big utility and fossil fuel companies cannot continue to push dirty energy. They discussed the need for carbon taxes, the potential of geo-thermal, how to promote renewables in high-density urban centers, and the power of focusing on your own zone of influence while educating others and taking personal steps to further the 100% renewable energy transition. ‘Women for 100% Renewable Energy- From Installation to Advocacy’ was presented by the WECAN International Women’s Climate Justice Initiative (WCJI). More information about future education and advocacy sessions is available on the WECAN International webpage. The next free online training- ‘Health & Climate Change: What Is At Stake, What Can Be Done’ will be held on June 23rd and 25th. To register for WCJI updates and calls to action, please click here.